MONAD Studio, founded by Associate Professor of Architecture Eric Goldemberg and architect Veronica Zalcberg, has been invited to exhibit in the New Manifesto exhibition that opens on Thursday, September 3rd in Prague, Czech Republic. Professor Goldemberg will also speak at the New Manifesto symposium on Tuesday, September 15th. As part of his presentation, a mini-concert featuring the 3D-printed travel bass guitar will take place. Local musicians will participate in the concert. The Experimental Architecture Biennial – Volume#2: New Manifesto exhibition will open on Thursday, September 3rd, 2015 at 7PM, at Galerie Jaroslava Fragnera: Betlémské náměstí 5a, 110 00 Praha 1. The exhibition will run until Sunday, October 18th, 2015. An opening party for New Manifesto with Kittchen and Elad will take place on Thursday, September 3rd, 2015 at 8PM at Galerie Jaroslava Fragnera: Betlémské náměstí 5a, 110 00 Praha 1. The Experimental Architecture Biennial – Volume#2: New Manifesto symposium will take place on Tuesday, September 15th, 2015 from 8:45PM to 5:15PM at Nákladové nádraží Žižkov, Jana Želivského 2, 130 00 Praha 3. Professor Eric Goldemberg will speak at 2:40PM. 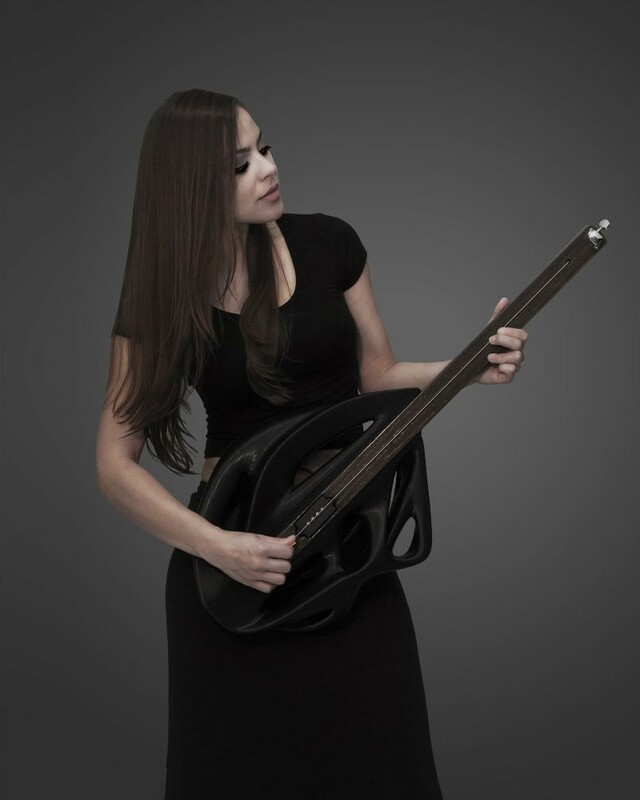 The featured image is of the 3D-printed travel bass guitar that will be played in Prague. The image is provided courtesy of MONAD Studio.